"Remember the sufferings of Christ, the storms that were weathered... the crown that came from those sufferings which gave new radiance to the faith... All saints give testimony to the truth that without real effort, no one ever wins the crown." 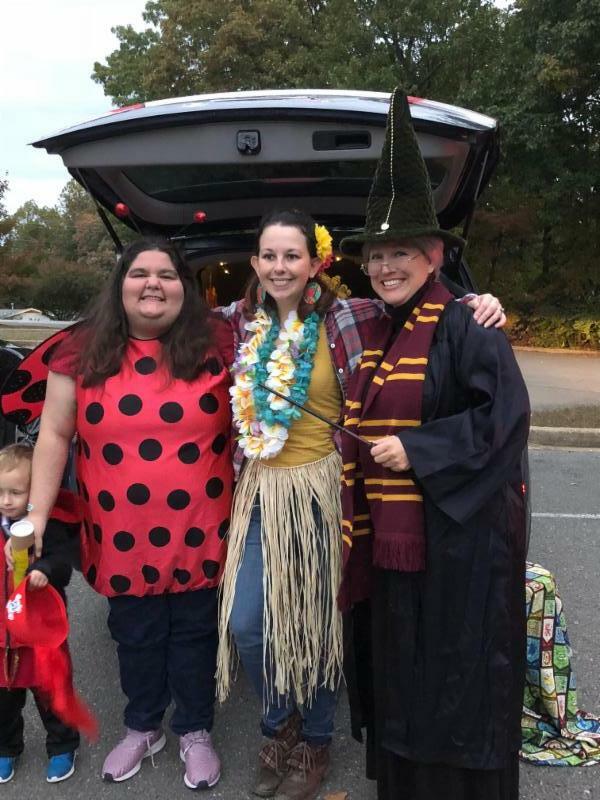 Thank you to our wonderful PTO Social Committee, Heather Terreri, Eileen Bliss and Michele Robbins for another wonderful Trunk or Treat on Sunday. The postponement from Friday did not deter our treaters and a great evening was had by all. 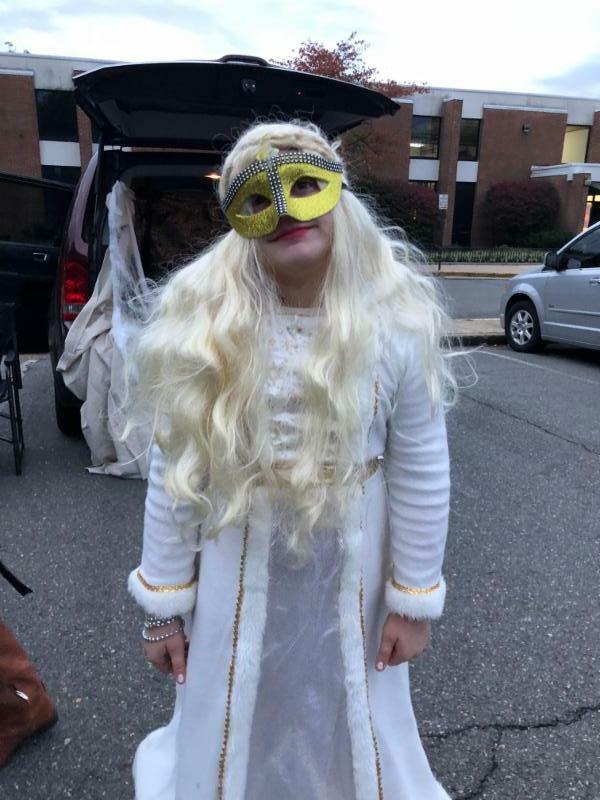 The cars and costumes were terrific! Our 8 th graders are enjoying a field trip today to the Franciscan Monastery and the Basilica of the National Shrine of the Immaculate Conception in Washington DC. Because they are missing our dress down day today, they will have their own dress down day on November 6. This way they can still contribute to our collection for victims of Hurricane Michael. The Scholastic Fall Book Fair is here! Please join us on Sunday for a family/parish event in the school library. It will run from 9:00am - 1:30pm. You are cordially invited to stop in and see what we have to offer. It's a great way to support the library program and get a head start on holiday shopping. How blessed we will be on Thursday, November 1 st , when we will be joined by a procession of 2 nd grade saints at Mass! Please join us and witness their holiness emanating! The week of November 11 we will celebrate Discover Catholic Schools Week. That Friday, November 16, we will have an open house from 9:00-10:00am to include some light refreshments, a Q and A and a tour of the school. Please help spread the word to friends and neighbors about our gem of a school! 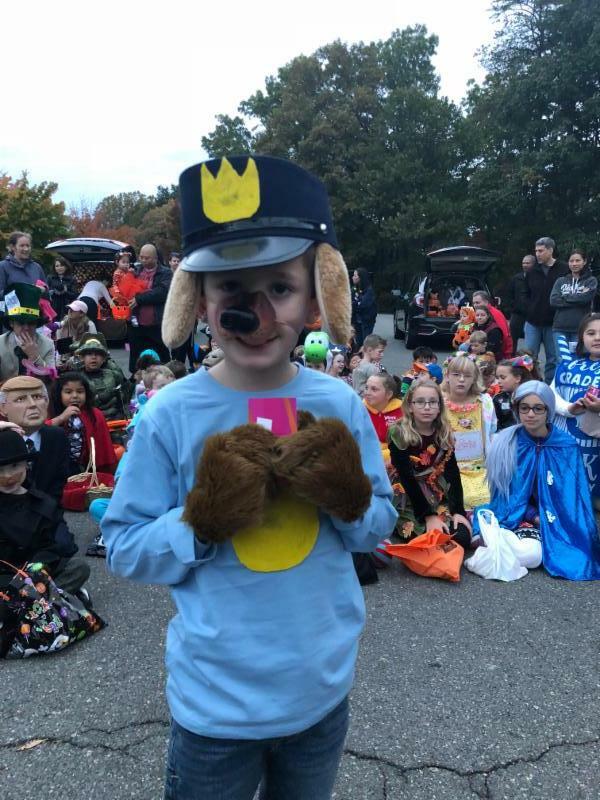 Our 4th annual Trunk or Treat was a howling good time! 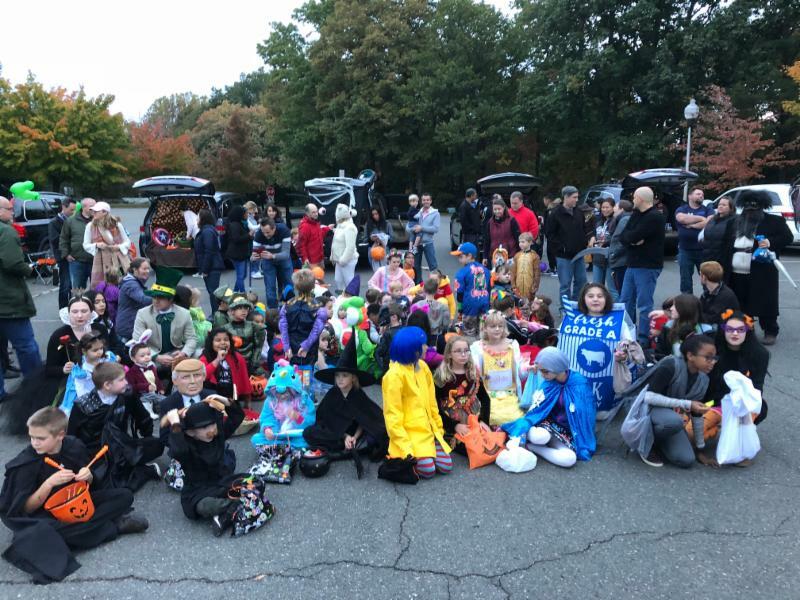 Led by the Queen Bee, Mrs. Rowley, we were joined by more than 20 cars and dozens of costumed characters. Even some of the teachers got into the action! 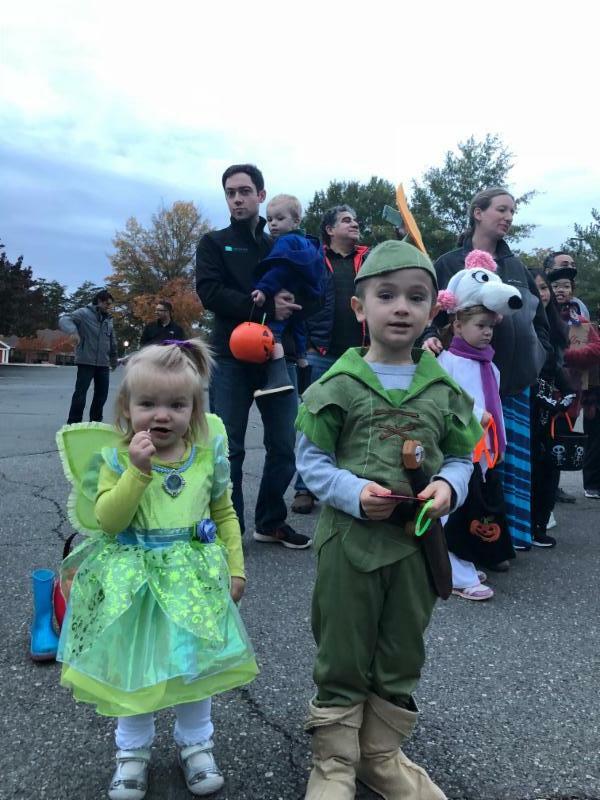 It was very difficult for our judges to decide but prizes for best costumes were awarded to Peter Pan and Tinkerbell (Jay McGrane pk3 and his little sister); Dogman (James Greshock 2nd grade); and Warrior Queen (Melissa Baldree 5th grade). 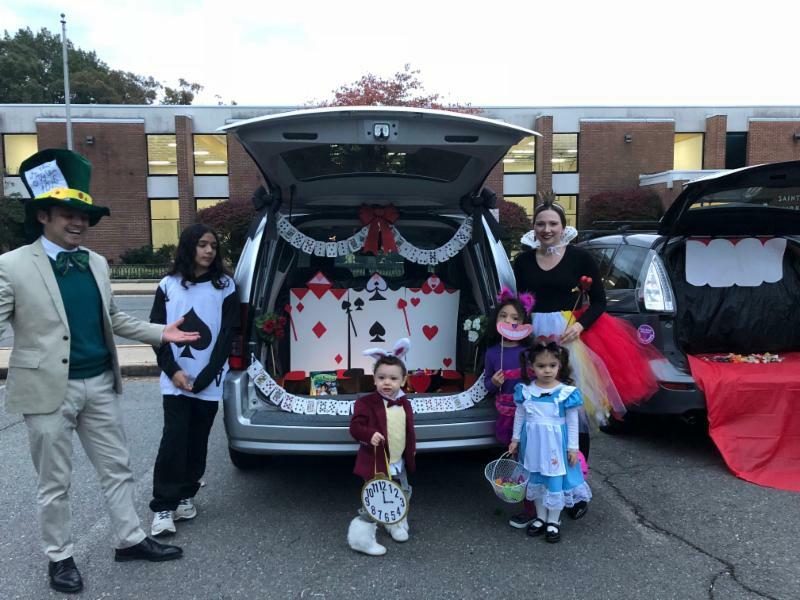 The prize for best trunk went to the Sampiero Family (Vivienne pk3) for Alice in Wonderland. Thanks to all the families for participating! St. Ambrose families and friends are welcome to donate candy! 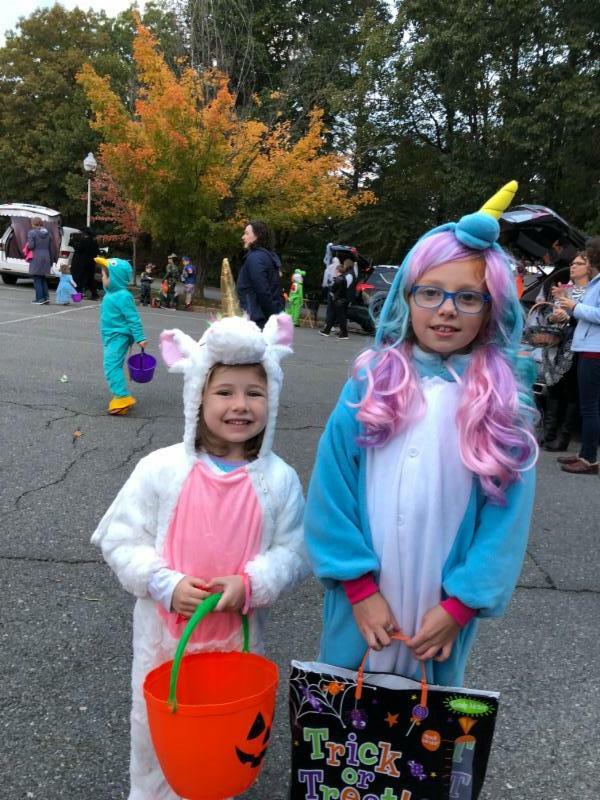 If you have any leftover Halloween candy, it can be donated to the "Soldier's Angels". Each classroom will have a collection box for donations. You can also find the box in the parking lot during our Trunk or Treat! This is for the troops who may not be able to receive candy or go trick or treating with their families. Thank you in advance to all who will be donating! MIXED BAG DESIGNS FUNDRAISER ENDS FRIDAY, NOVEMBER 2ND! Please have your child turn in the Mixed Bag Designs envelope with competed order form and payment(s) to the school office by Friday, 11/2/18. It's not too late to encourage friends and family to make a purchase! Every order counts toward our goal. The greater number of items ordered, the greater the profit percentage for our school. Please feel free to contact me with any questions at gala@stambroseschool.org. The Scholastic Fall Book Fair is here! AND GET YOUR CHRISTMAS SHOPPING DONE! THE "TOY RAISER" will earn FREE award-winning educational Discovery Toys for St. Ambrose School! 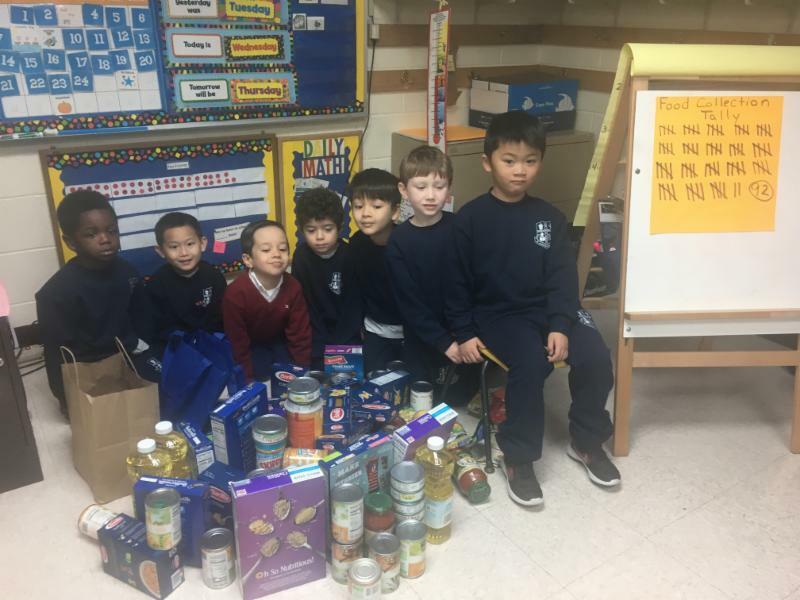 Kindergarten collected 92 food items for the needy! Children do not have to pay bills, cook dinners, or manage carpools. But - just like adults - they have their share of daily demands and things that do not go smoothly. If frustrations and disappointments pile up, children can get stressed or worried. It is natural for all children to worry at times, and because of personality and temperament differences, some may worry more than others. Luckily, parents can help children learn to manage stress and tackle everyday problems with ease. Children who can do that develop a sense of confidence and optimism that will help them master life's challenges, big and small. What children worry about is often related to the age and stage they are in. Children and preteens typically worry about things like grades, tests, their changing bodies, fitting in with friends, that goal they missed at the soccer game, or whether they will make the team. They may feel stressed over social troubles like cliques, peer pressure, or whether they will be bullied, teased, or left out. Because they are beginning to feel more a part of the larger world around them, preteens also may worry about world events or issues they hear about on the news or at school. Things like terrorism, war, pollution, global warming, endangered animals, and natural disasters can become a source of worry.